This is the second in a series of articles on how the next administration can improve federal government operations. It is well-known that greater engagement equates to better performance. But in 2015, only 32 percent of U.S. employees were engaged at work, according to Gallup. 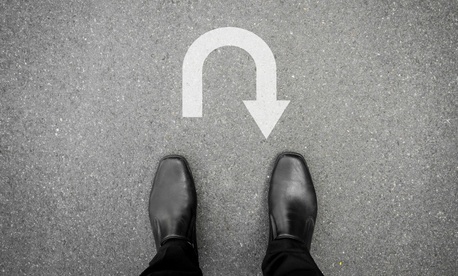 The Federal Employee Viewpoint Survey has revealed similar challenges in government, where employee commitment has remained static or improved only slightly during the past few years. The first article in this series covered government performance and accountability. 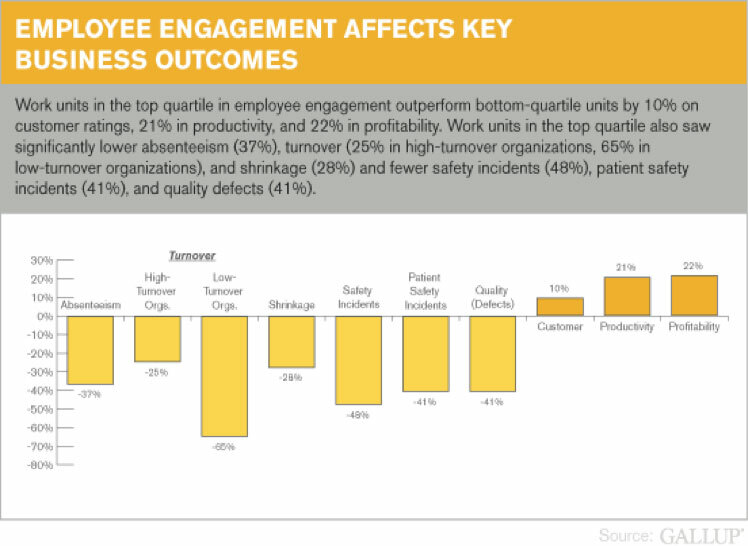 Research shows the correlation between employee engagement and significant business outcomes. Work units at the top of the engagement spectrum outperform the bottom by 10 percent in consumer ratings, 21 percent in productivity and 22 percent in profitability, according to a Gallup study. They also have lower rates of absenteeism, turnover, safety incidents and product defects. Believe they can get things done in government. Deal with poor performance or conduct. Recognize that employees are government’s greatest resource, who need to be developed, rewarded when appropriate, given the chance to grow, and to be treated well. Communicate more effectively using a whole-brain approach to accommodate any learning style, whether it’s logical (left side of the brain) or creative (right side). Involve employees in more aspects of their operations. Manage fairly and effectively through well-designed and aligned systems. Properly apply merit system principles. Ensure an appropriate work-life balance (using tools like alternative work schedules and telework). During the past few years, U.S. organizations have spent over $160 billion on training (with the largest percentage going to supervisory development) with little effect on improving employee engagement. It therefore appears that spending more money on supervisory training is unlikely to solve this critical problem. The second option for improving engagement is more innovative and cutting-edge: Change the way work is performed by building teams of leaders. With this approach, everyone is more involved and engaged and can step up to provide leadership. Collaborative management is the No. 2 driver of employee engagement, according to FEVS results. Yet in the most recent survey, only 51 percent of employees reported they were satisfied with their involvement in decisions that affect their work. Interestingly, most of the recommendations in the survey report only address management sharing information with their subordinates, which does not get to the heart of the matter. The natural step to greater employee involvement is a team-based environment. In working with more than a dozen agencies, we have found that while many agencies profess to have teams, most work as teams in name only. Teams do not magically develop just because units are renamed as teams. They must be built through careful planning, leadership support, delegated scope of authority, systems design and employee development. Well-designed teams not only significantly increase employee engagement, they also outperform traditional teams/units by as much as 2.5-to-1 and provide better outcomes. In addition, teams of leaders free up supervisors for higher-level work, which translates to additional resources for the government—or the need for fewer resources. This promising concept has already paid massive dividends in the private sector at companies like GE, HP Financial Services and Zilog. Very few federal agencies are able to match their private sector counterparts in performance outcomes, in part because employees are not organized in teams in which members can either own the process end to end or complete the required work entirely within the team. Instead the work always seems to go to somewhere or someone else, with no one seeming to be accountable. A good rule of thumb is 25 percent of the cost of anything produced is associated with variability, constraints, nonvalue-added work or a lack of multiskilled team members. The five-stage team development model: A framework to guide the evolution and progress of a team. You get what you design for: Create the proper work design by analyzing your environment, processes and culture. Team processes: Implement processes that support teams of leaders, such as core work, onboarding and off boarding. Value creation model: Provide each team member with information on how much value he or she and the team create. Knowledge management: Assemble the knowledge required to build teams of leaders. Visual management: Design a physical environment (such as collaborative office spaces and artwork that promotes the agency’s mission) that reinforces all other design elements. At Stage 1, which is the typical work design, the team leader drives everything. At Stage 2, the roles begin to change and there is a mix of both excitement and confusion about roles. By Stage 3, the team is just beginning to coalesce, the team leader begins to pull back a bit and a few employees start to step up and provide leadership. At Stage 4, the team is beginning to make real progress as more people provide meaningful contributions and the team leader pulls back even more. At Stage 5, you have a fully functioning team of leaders that performs at a level most organizations can only dream of. The new administration has myriad opportunities to motivate and tap the talent of the federal workforce. The next article in this series addresses employee development and the need to rebuild the human resources management field. Stewart Liff is president and CEO of Stewart Liff & Associates Inc., specializing in human resources management and team development. He is the author or co-author of seven books, including Managing Government Employees, A Team of Leaders and Seeing is Believing. He can be reached at stew@stewartliff.com. Paul Gustavson is an organizational design consultant and founder of Organization Planning & Design Inc., which helps companies around the world create and sustain high-performance teams. He is the co-author of A Team of Leaders, The Power of Living by Design and Running into the Wind. He can be reached at pgustavson@organizationdesign.com.